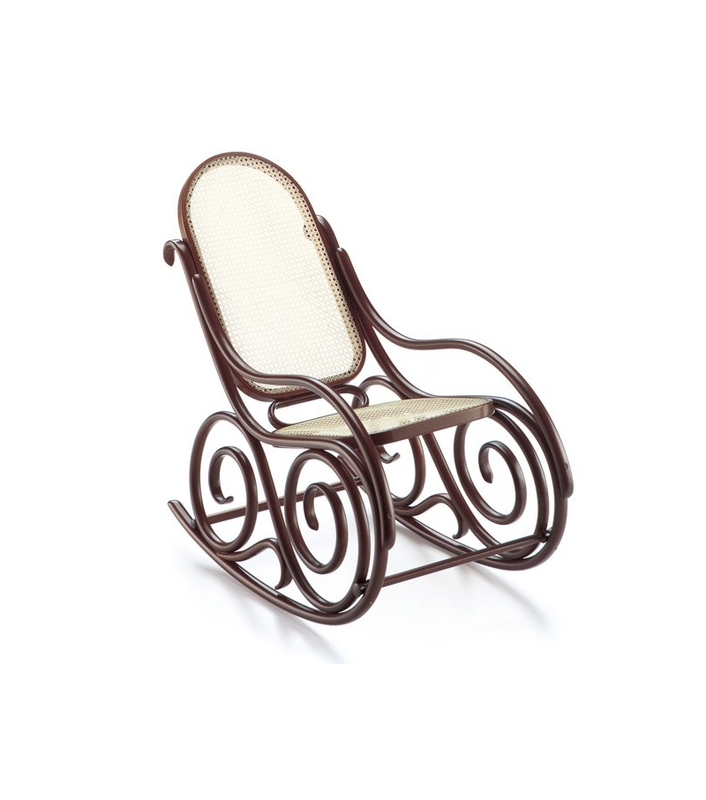 Vitra Miniature Schaukelsessel N.9, Kohn e Thonet: In the second half of the 19th century bentwood firms began to manufacture rocking chairs which, as a symbol of leisure and relaxtion, corresponded to the need of the bourgeoisie for an appropriate level of comfort. Around 1882 the firm of Jacob & Josef Kohn put a model onto the market which differen-tiated distrinctly from earlier rocking chairs. 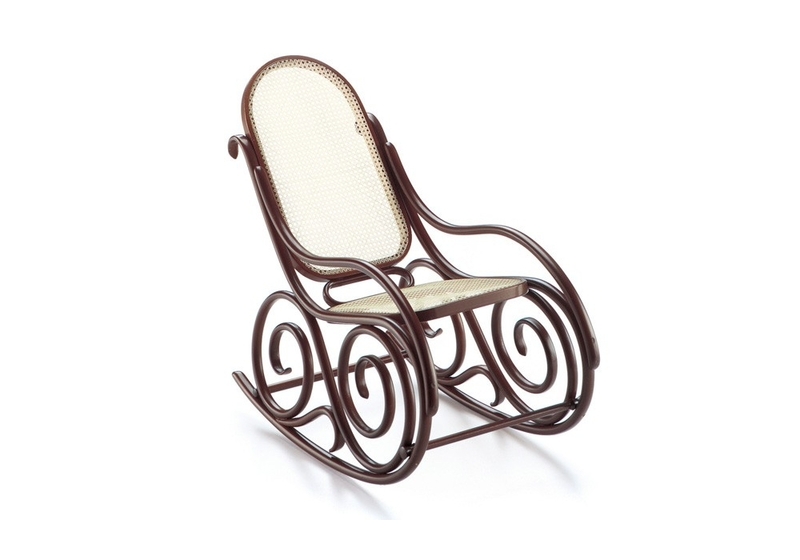 Vitra Miniature Schaukelsessel N.9, Kohn e Thonet: In the second half of the 19th century bentwood firms began to manufacture rocking chairs which, as a symbol of leisure and relaxtion, corresponded to the need of the bourgeoisie for an appropriate level of comfort. Around 1882 the firm of Jacob & Josef Kohn put a model onto the market which differen-tiated distrinctly from earlier rocking chairs. A double loop, which clearly stands out against the framework, unites the supporting functions on either side. As a result of the back-leg-like supports of the prototypes like the Thonet rocking chair being replaced by smaller bentwood loop at the back, the construction of the chair takes on an elegant and weightless appearance. 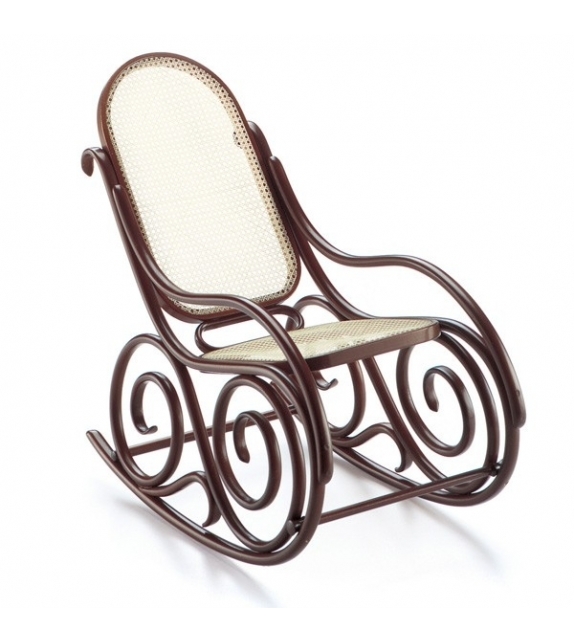 The firm, founded in 1867, had initially mainly copied Thonet furniture. Innovatory drafts, such as the Rocking Chair No. 9, helped the business to develop its own original style. Bent beech wood, cane.